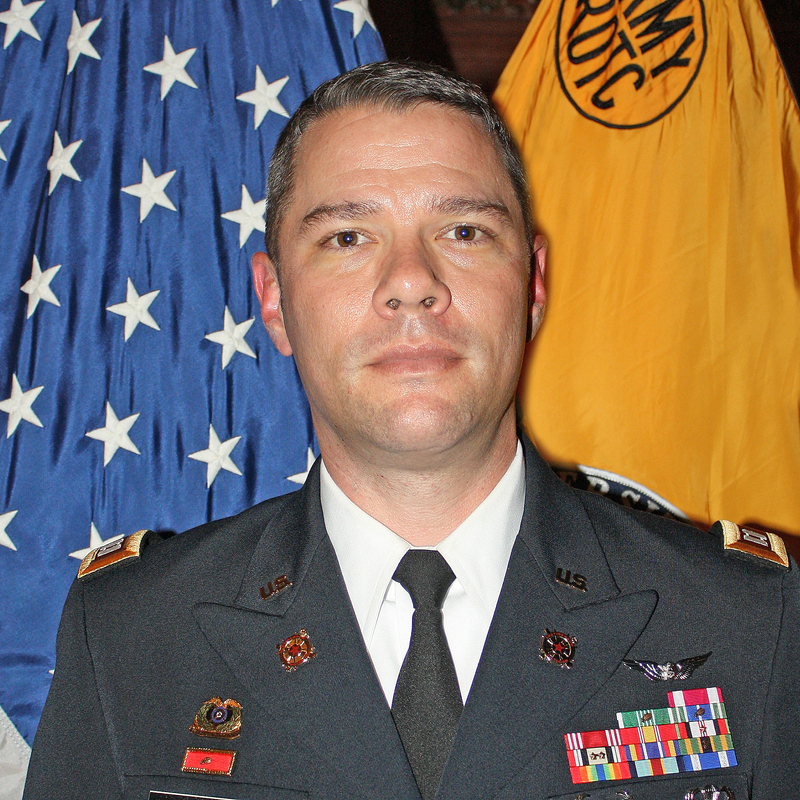 Captain Clayton L. Gaines proudly serves the United States Army Cadet Command as the Assistant Professor of Military Science at Indiana University-Purdue University in Indianapolis. CPT Gaines earned his bachelor’s degree in criminal justice from Sam Houston State University in 2004, and his master’s in legal studies from Texas State University – San Marcos. Deployed with the 101st Airborne Division (Air Assault) during Operation Iraqi IV Freedom (2005-2006) and in Afghanistan in support of Operation Enduring Freedom, CPT Gaines’s assignments have included, among other roles: platoon leader and executive officer of E Company in the 2-227th General Support Aviation Battalion at Fort Hood, Texas; the 1st Air Cavalry Brigade as the budget officer and facilities manager; and, command of the 151st Transportation Detachment in 2015.